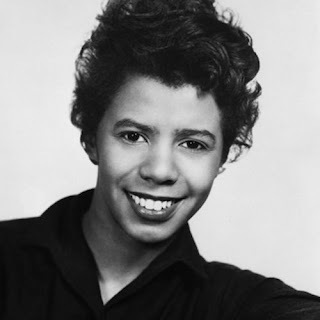 Playwright Lorraine Hansberry who lived and grew up with her family in a black neighborhood on Chicago's Southside of the 1950's wrote the semi-autobiographical play "A Raisin in the Sun" to portray the enforced segregation of white and blacks of the period, the struggles, the conflicts, the tensions and the fight for independence, freedom and identity. Just honest, hard-working black people in a very realistic light that celebrated the African-American heritage and experience, using the language and the situations of a silent majority on the verge of finding its own voice in America. 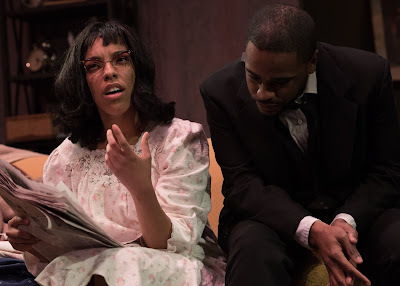 At the Downtown Cabaret Theatre in Bridgeport, where Hansberry's award-winning 1959 drama is being lovingly revived, audiences are privy to an exciting, sensitive portrait of one family as they struggle for survival, long for escape and dream of life in a world where people are finally treated as equals regardless of skin color, background and nationality. You get all of that and more in this remarkable, handsomely staged revival. 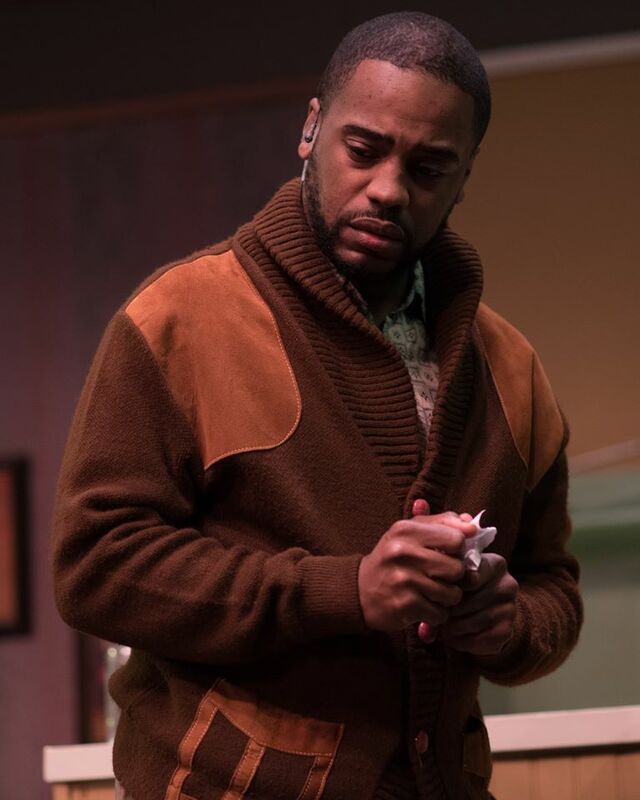 The play itself invites audiences into the home of the Youngers, an African-American family who are about to receive an insurance check for $10,000 (the money comes from the insurance policy of the deceased, elder Mr. Younger). Each family member, of course, dreams of what that money can buy them. But Lena "Mama" Younger, the wife of the deceased, chooses to buy a one-family house in Clybourne Park, a very nice Chicago neighborhood that happens to be "all white." There's a lot more going on in "A Raisin in the Sun" than just this one conflict as Hansberry tackles many, many important issues and situations of the times. To discuss them, however, would actually ruin and derail the play's surprise twists, turns, shocks, revelations and ending. So, to fully enjoy the play and its ovation-worthy conclusion, these plot elements cannot and will not be discussed here. 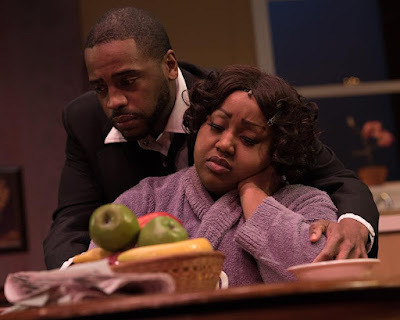 Staging "A Raisin in the Sun," director Brian Crook paints an intimate, provocative picture of a driven family forced to confront the economic and social pressures of the times, the prejudice of white America and the fight for survival while living on Chicago's Southside in the 1950's. His approach to Hansberry's celebrated work is honest, real, absorbing and powerful. He lets the story, the dialogue and the situations speak for themselves without any form of calculation or preachiness. That, in turn, gives extra weight and dimension to the play's resonance, beauty and universality. Well done, Mr. Crook. Essential, pivotal casting is everything in a play of this size and nature. 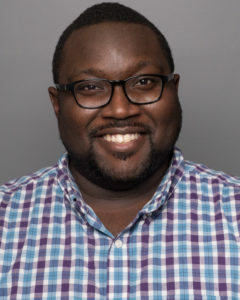 That said, no one is more deserving of the role of Walter Lee Younger than Jahi Kassa Taharqa. He is not only right for the role, but deftly communicates his character's passion, restlessness, anger and desire to rise above the unjust, unfair prejudice of the times. Taking hold of Hansberry's moving, edgy and thought-proving dialogue, he crafts a marvelously assured performance of a man being torn apart from the inside out who refuses to give up and will, by all accounts, never give up. And that, in a nutshell, is what Walter Lee Younger is all about. The enigmatic, dynamic May Tae Harge, was last seen in the Warner Theatre's thrilling whodunit "And Then There Were None," where she gave a powerful portrayal of a cool, proud young woman with dark, dangerous secrets that eerily prompted her eventual downfall. Here, the actress does a complete 360-degree turn and proudly displays yet another side to her theatrical savvy and versatility. 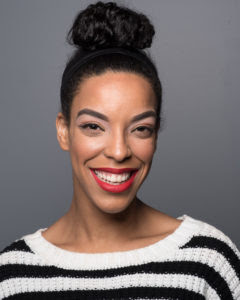 As Beneatha Younger, the play's sharp-tongued, fiercely-independent female, a woman determined to make her mark on the world, Harge brings a refreshing honesty, zest and determination to the part that no doubt would make Hansberry ever so proud. It's a role she was destined to play (kudos to Crook for casting her as Beneatha). Moreover, she does it so effortlessly, you are never once reminded that she is an actress, performing in a play. 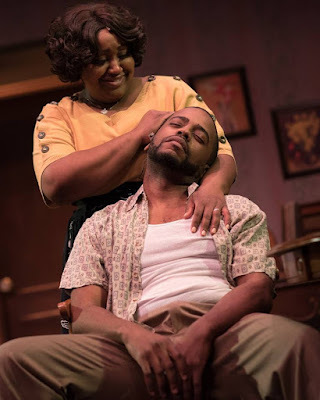 LaMarr Taylor, in the pivotal role of Lena "Mama" Younger, the family matriarch who dreams of moving her loved ones into a real home, is completely and utterly mesmerizing. It's a role she performs with decided strongness, opinion, familial betterment, survival, sacrifice and passion. As Ruth Younger, the wife of Walter Lee Younger, Noel Ginyard is equally beguiling. She too comes to "A Raisin in the Sun" with a full appreciation and understanding of Hansberry's ground-breaking, timeless play and crafts a brilliantly-etched portrayal of a patient, understanding wife and mother, who, like her husband, longs for a better future where people are treated as equals and dreams can and will become a reality. 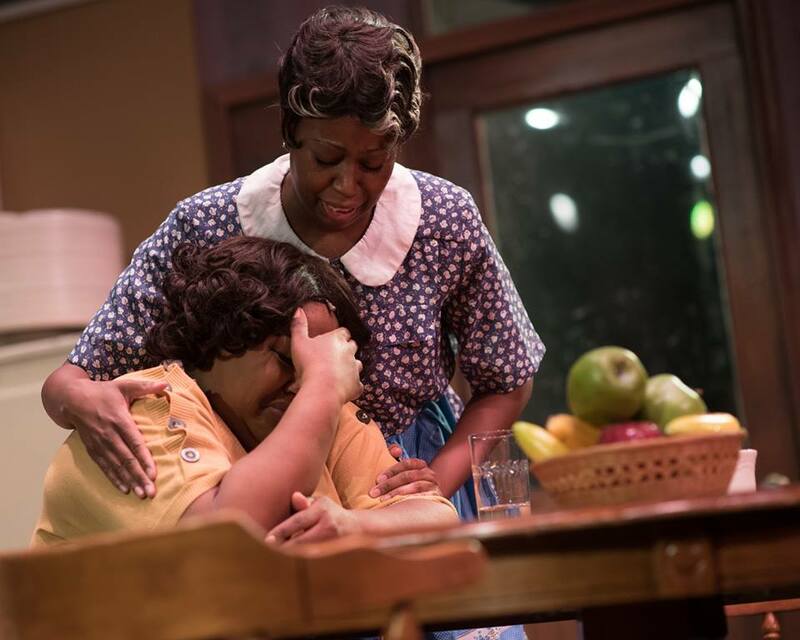 "A Raisin in the Sun" is a brilliant slice of American theater that demands to be seen. Then and now, it speaks to people of every race and color and invites them to celebrate life to the fullest and pursue their dreams with honesty, dignity and truth. Yes, it's a well-traveled road that's often problematic, difficult and uncertain. But in the end, Hansberry reminds us that anything is possible. Just go for it, hold your head up high and turn that dream into a reality. "A Raisin in the Sun" is being staged at Downtown Cabaret Theatre (263 Golden Hill, St., Bridgeport, CT), now through Feb. 18.